OpenOffice 4 the product is a multi-platform office productivity suite. It includes the key desktop applications, such as a word processor, spreadsheet, presentation manager, and drawing program, with a user interface and feature set similar to other office suites. Sophisticated and flexible, OpenOffice also works transparently with a variety of file formats, including those of Microsoft Office. Available in over 45 supported languages with more being constantly added by the community, OpenOffice runs stably and natively on Solaris, Linux (including PPC Linux), Windows, Mac OS X (X11), and numerous other platforms. Written in C++ and with documented APIs licensed under the LGPL and SISSL Open Source licenses, OpenOffice allows any knowledgeable developer to benefit from the source. And, because the file format for OpenOffice is XML, interoperability is easy, making future development and adoption more certain. Public administrations and people working at all levels of government (local / federal / regional / national etc) find OpenOffice 4 is their ideal software solution. The combination of a flexible word processor, a powerful spreadsheet, dynamic graphics, database access and more meets all the everyday needs of a typical busy office worker. Already available in a wide range of languages, OpenOffice 4 can be freely translated by local teams. 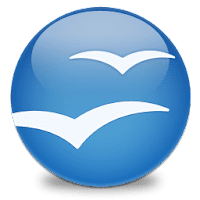 Education establishments of all levels (primary, secondary, college, university…) find OpenOffice 4 meets the needs of both teachers and students. The flexible word processor, powerful spreadsheet, dynamic graphics, database access and more meet all requirements for an office software package. With an open-source licence, OpenOffice 4 can be freely used and distributed with no licence worries. Enterprises from corner-shops to corporate giants are turning to OpenOffice 4 to power their businesses. The flexible word processor, powerful spreadsheet, dynamic graphics, database access and more meet all the requirements for an office software package. OpenOffice 4 offers a high degree of compatibility with commercial office software, but with none of the costs or licence worries. Not for Profit (NFP) organisations of all sizes are turning to OpenOffice 4 – software that meets their needs and shares their values. The flexible word processor, powerful spreadsheet, dynamic graphics, database access and more meet all the requirements for an office software package. OpenOffice.org 4 offers a high degree of compatibility with commercial office software, but with none of the costs or licence worries. Build your business around OpenOffice 4. If you’re in the IT business, it can mean good business for you. The flexible word processor, powerful spreadsheet, dynamic graphics, database access and more meet all the requirements for an office software package. Add value for your clients, free of licence costs and onerous licencing conditions. Free/Open-Source Software (F/OSS) proponents are turning to OpenOffice both as end-users and as contributors. With its flexible word processor, powerful spreadsheet, dynamic graphics, database access and more, OpenOffice is the office suite of choice of millions of users. It is released under the OSI approved LGPL terms, with over 750 contributors and an international community approaching 400,000 individuals.